Combines four applications in one: photo editing, graphic design, batch processing and publishing. The program offers a range of sophisticated tools to help you create a dynamic composition via an intuitive interface and unleash your creativity. 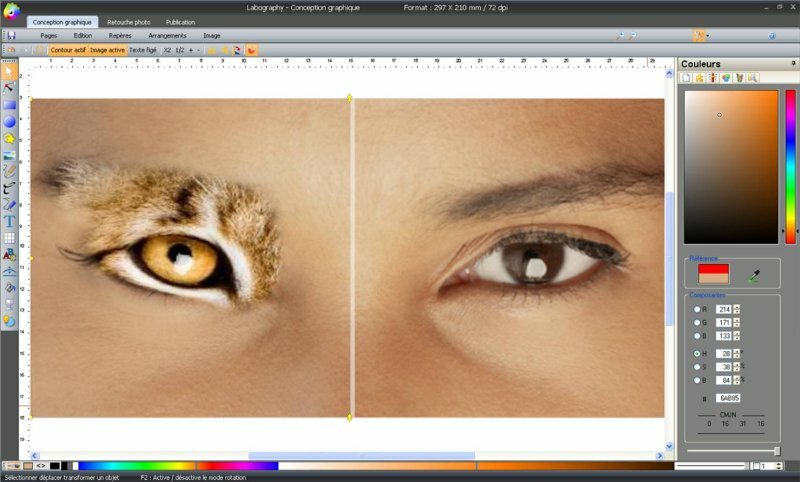 Combines four applications in one: photo editing, graphic design, batch processing and publishing. The program offers a range of sophisticated tools to help you create a dynamic composition via an intuitive interface and unleash your creativity. From the simplest tools to advanced features: powerful drawing tools, advanced adjusment tools, gradients, and complex effects of vectorization tools, 3D transformation, calligraphy or artistic models ready. Create and manage your compositions using intelligent tools and powerful features. The application will allow you to make, customize and export a wide range of publications for printing (PDF format) or for digital broadcasting (compatible with RAW and ICC profiles). Magic Particles - videopost, special effects. Magic Particles allows to create various special effects easily and quickly. In addition you can use videopost mode. A lot of samples of special effects are delivered with Magic Particles.